Todays story is close to home. 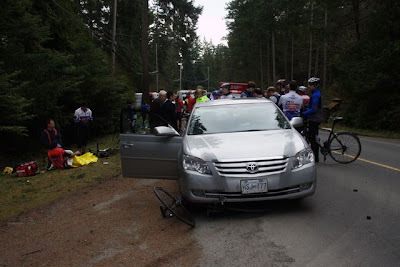 A car hit a car which hit a local training ride, destoying a lot of bikes and sending two guys I ride with to hospital. Luckily nobody was seriously injured. Before careful out there. The news has a bit more info.